Neal Adams (GREEN LANTERN/GREEN ARROW), one of the most acclaimed Batman artists, has defined the Caped Crusader for decades and fans have long been clamoring to see him draw the Dark Knight once more. 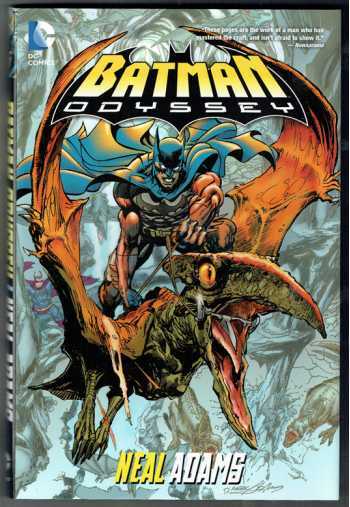 which also reveals shocking secrets about Batman's enemies and allies alike. From a secret chamber in Arkham Asylum to a hidden world below our own, this weird, wild journey will answer once and for all the question "Can a Batman who kills still be Batman?" BATMAN: ODYSSEY, a singular and epic Batman tale, collects BATMAN ODYSSEY (VOL.1) 1-6 and (VOL. 2) 1-7.